Concurrent Surgery: In Whose Best Interest? 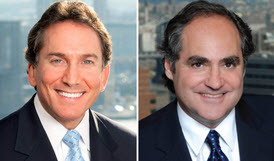 In their latest Trial Advocacy column in the New York Law Journal, NYC Personal Injury Attorneys Ben Rubinowitz and Evan Torgan write: Concurrent or overlapping surgeries are becoming more common in major teaching hospitals. Although studies have suggested that the practice can be performed without endangering patient safety, the attorney prosecuting such a case should focus on the motives behind the practice. Developing “case frames” such as profit over safety will certainly answer questions in the minds of jurors as to who benefits from double booking.